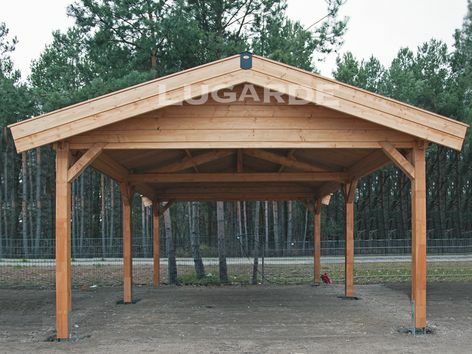 The idaho carport from Lugarde is a generous size with 6 timber posts and an apex roof with a choice of shingle colour. Size is 4m wide x 6m deep. 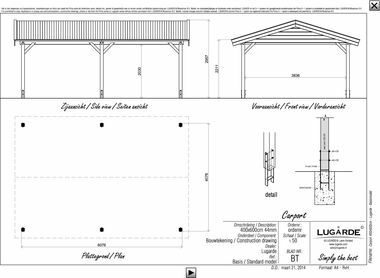 Posts, braces and shingled roof are included as standard.